Extremely well packaged battery, arrived promptly. A1 service. Malkin Motorsport, Coventry. Very good quality battery. Delivery very quick. I would definitely recommend Tanya. Good battery of the right dimensions for old Triumphs. Excellent service delivered before 8 30 next day can't recommend you to highly absolutely wonderful ???????????? Excellent service, delivered next day. Great item, excellent service received by Tayna. I would recommend them as excellent. Excellent battery and service from Tayna. This battery was chosen based on dimensions to fit a Mini-based kit car with very limited space (footprint). First class service and delivered promptly. Unable to fir it due to illness but very pleased with the product. I was recommended to you by my son and I would recommend you to anyone. Thanks. Nothing wrong with battery as such but was not happy with customer service. I did not open the battery upon delivery as there was nowhere on the box saying I should do so. When I did open it there was some residue and I promptly called the customer service line and basically got told off for not opening it and practically accused of lying when I said there was no instruction to open immediately. Battery was fine and working well in my car but customer service could be so much better. I also used social media (twitter) and took this query up with you on 20th March and as yet have had no reply. Battery excellent and reasonable price. Nice and easy web site and transaction , thankyou. 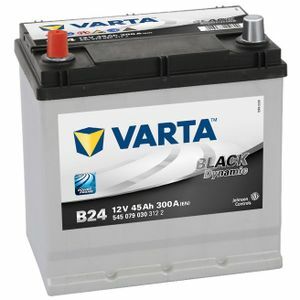 Very good service, packaged very well and the battery arrived in excellent condition.